Frankfort will be a lonelier place for Rep. Arnold Simpson, at least in partisan terms. The long-serving Democrat from Covington had the great fortune of being unopposed in November's election, a date that delivered an absolute bloodbath for his party, not only ceding control of the House of Representatives to the Republicans for the first time in nearly a century, but delivering the GOP a powerful super-majority. "We thought it was a possibility that they may take the House, but no one - and I emphasize, no one - saw the scale of victory," Simpson said. Heading into Election Day, the Democrats held a vulnerable 53 to 47 majority in the General Assembly's lower chamber. When the dust settled after the votes were counted, the Republicans walloped their Democratic rivals, and seized victory by a 64 to 36 margin. Even House Speaker Greg Stumbo, a Frankfort staple since the 1980s, went down in defeat in his eastern Kentucky district. The fall of the Kentucky House of Representatives was significant in national politics, too; Frankfort was home to the last Democratic-controlled legislative chamber in any of the southern United States. It's all red now. "If the numbers were closer, it would necessitate a partnership with the minority party," Simpson said. "That is no longer necessary. "It will be an interesting experience." Simpson was joined Wednesday afternoon by Senator Chris McDaniel, a Taylor Mill Republican who represents northern Kenton County in Frankfort, at the Covington Business Council's legislative preview, an annual luncheon that precedes the General Assembly's session that begins in January, and plays out in February and March. In odd-numbered years, like 2017, it has been the case that budgetary issues are not taken up and are instead reserved for even-numbered years, like 2016. McDaniel said, that may change. "Not only did (the House) change to a Republican body, it changed to a supermajority," McDaniel said. "We have enough votes to pass a constitutional amendment. We have enough votes without any votes from the opposing party to open the Commonwealth's budget." He expects that Republican Governor Matt Bevin, who will watch over the second legislative session of his first term, may be interested in that. "The governor will advance a very ambitious agenda, a very business-friendly agenda, and I believe rightly so." Other issues expected to sail through the legislature after years of being blocked by Democrats, include the so-called "right to work" law that would limit employee unions' power, tort reform, and charter schools. That last item, McDaniel said, is more likely to impact urban areas like Northern Kentucky where there is a population base to support corporate-owned independent schools that would compete with public districts. "One of the biggest benefits of charter schools is, we get to hold them accountable for their results," McDaniel said. "People point to charter schools that close as failures, but to me that is an overall success of the system that we have the ability to close failing schools." The senator, also unopposed earlier this month when he was elected to his second term, referenced former Kentucky Commissioner of Education Terry Holliday who once accused ten schools in Jefferson County, where Louisville is, of committing "academic genocide" due to their poor performance. "And he could do nothing about it." On Monday, the Kentucky Board of Education hosted a forum on charter schools attended by an overflow crowd that included superintendents from across the state. Kentucky is one of just seven states that does not currently allow for charter schools. Charters differ from other public schools in that the authorizer and charter operator enter into a performance-based contract, or charter, that spells out the school’s governance, funding, accountability and flexibility, among other things. Monday's forum included remarks from Dr. Margaret Raymond from the Center for Research on Education Outcomes (CREDO) at Stanford University. She presented a major research study on charter schools that concluded, based on growth on tests, charters best serve black students, English learners, and poor students. Charters also typically work well in urban areas with strong human capital systems, and the schools' quality is set early in the operating life of the school and is controlled and driven by the authorizing entity, Dr. Raymond's research concluded. Simpson said that he has never supported charter schools and warned, "the devil is in the details." "The bill will probably come from the majority party," Simpson said. "I would encourage us to look at what has occurred in other states." He predicted that challenged school districts in Northern Kentucky - where four districts rank in the bottom eight according to Kentucky test scores - would see some engaged parents withdraw their children in favor of the new charters. That would create less funding for the public schools that are partially compensated by the state based on enrollment. 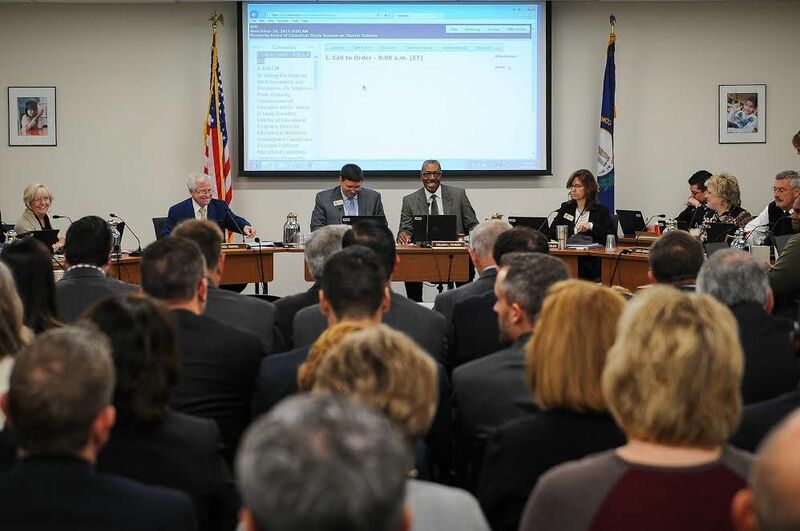 The Kentucky Board of Education convenes again on December 7 and is expected to decide whether to place charter schools on its legislative agenda. On other issues, Simpson and McDaniel agree: Kentucky's woefully underfunded pension system will receive more attention this year, too, and the Brent Spence Bridge corridor project (which both legislators have reservations about) may be discussed in a new context after years of contentious battles over whether tolls should be used to finance the estimated $2.7 billion project. They both also share concern about a different type of political divide in Frankfort, one that supercedes Republicans vs. Democrats: that of urban versus rural legislators. Lawmakers from the urban areas of Kentucky like Louisville, Lexington, and Northern Kentucky have long lamented their inability to draw necessary attention to their issues. "We don't have enough individuals, in my opinion, in leadership to promote that which is best for our region," Simpson said. "I don't think it will get any weaker," McDaniel said of the urban lawmakers' situation in Frankfort, "but I don't think it will get any stronger."